Menosoma cincta has a broad, white band across its wings and the Latin species name (derived from cinctus) refers to this girdle or belt. 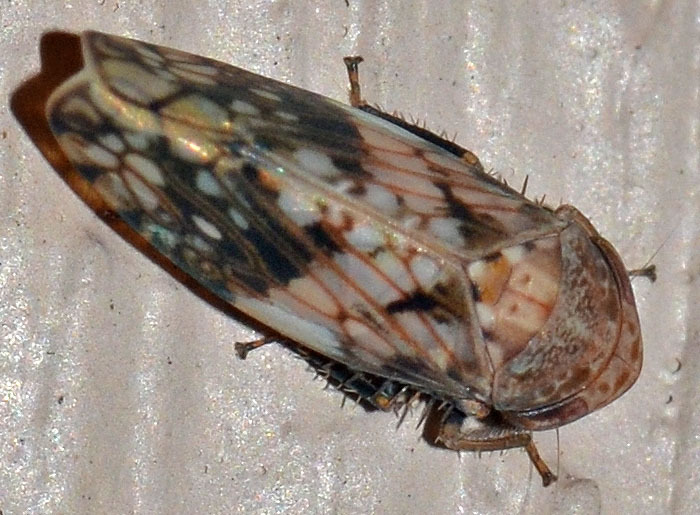 The leafhopper is found from Canada to Argentina. Of the total 12 or 13 species in the genus, only two are found in the US.